Thank you to Warner Bros. for sponsoring this post. Scooby-Doo and the Mystery Inc. Gang have teamed up with generationOn, the youth family division of Points of Light, to inspire, equip and mobilize kids, parents and Scooby-Doo fans to create meaningful change in their communities. Scooby-Doo and the Mystery Inc. Gang, along with generationOn, are on a mission to get kids, parents and fans to #DooGood! Benny and I spent an entire day in the garden recently. We pulled weeds. We picked up trash. We added compost to garden beds, planted a variety of food favorites, such as tomatoes, and even helped dig a hole to welcome a new citrus fruit tree. Plus, we tasted leafy plants and broccoli flowers. But the setting of this outdoor project was not in our own home garden (even though our backyard could certainly use a makeover). We actually participated in a Scooby-Doo “Doo Good Mystery Service Project!” at Mid City’s Prescott School of Enriched Sciences in Los Angeles, a Title I elementary school near Downtown. Together with a group of other parents and children, we set out to clean, revitalize and add new vegetation to the school’s edible garden. By the end of the day it was clear that together, there’s no issue we can’t solve. Team work makes the dream work, friends. And you can get involved with a service project too! Warner Bros. Consumer Products teamed up with generationOn, the youth family division of Points of Light, which is the world’s largest volunteer service organization. The partnership was created to inspire, equip and mobilize kids and families to create meaningful change in their communities on issues that range from the environment to animal welfare, poverty, hunger and more. In all seriousness, I’ve been so consumed with work that I haven’t given volunteer service enough of my time. But I recognize the importance of being active in my community and show my boys that by acting now, their city will be a better place when they grow up. That is why participating in this project— which will help elementary school students learn and appreciate gardening and improve the quality of the environment, was such an eye-opener and one that filled me with satisfaction at the end of the day. 1. Visit the Scooby-Doo Good Website and download the Environment Toolkit. This toolkit offers a number of project ideas, including instructions on how to turn plastic bottles into gardens and ways to form a Scooby-Doo Cleanup Crew! 2. After you’ve read through the Environment Toolkit, recruit fellow parents and kids in your community. Take the ‘mystery’ out of helping your environment by coordinating something as simple as picking up trash in your neighborhood or building a birdhouse out of repurposed materials! Depending on what you choose to do, you can motivate your volunteers by hosting a BBQ afterwards and rewarding the kids (and adults!) with ice cream. 3. Spread the word! 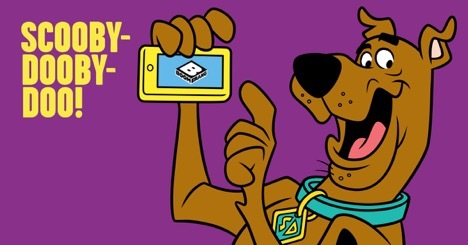 Let other people know about the Scooby-Doo “Doo Good Mystery Service Project! Suggest they download the Environment Toolkit and create their own activities to make our city a better place. The important thing is getting started, no matter how small. Over at Mid-City Prescott School of Enriched Sciences, Benny and I learned so much about gardening, thanks to the guidance and direction of the friendly folks at EnrichLA. We learned how plant Basil inside a wooden box. We found out which tools are necessary to plant fruit trees. Most importantly, we learned that families and kids love getting down and dirty, especially if they’re encouraged by a good cause. Here’s a video wrap-up of our amazing day. I should mention that Warner Bros. started us off with a delightful breakfast at Olive and Thyme in Burbank. From that point on, we knew we were in for a special day! Thanks, Warner Bros. Consumer Products, generationOn & EnrichLA! Friends, will you commit to Doo Good in your communities? Comment below and share any plans you’re making to make your community a better place! Thank you to Warner Bros. and Boomerang for providing these products. Giveaway open to adults 18+ based in the United States. Limited to one submission per person. I’m giving away a year-long Boomerang Subscription to five lucky readers! In case you’re not familiar with Boomerang, it’s an awesome cartoon internet streaming service where you (and your kids) can watch Scooby-Doo, among other awesome shows! 1. Please comment below and share what type of activity you wish to organize in your community to Doo Good. All entries will be submitted to a random selection app. Winners will be notified on May 8, 2018.